For centuries pearls have been a symbol of beauty and purity. Their classic beauty makes them timeless and while greatly admired, they are the least understood gemstone in the jewellery trade. We will introduce you to their history, how they have been styled into some of the most beautiful jewellery over the past few centuries and the style icons who have worn and brought pearls into the limelight. 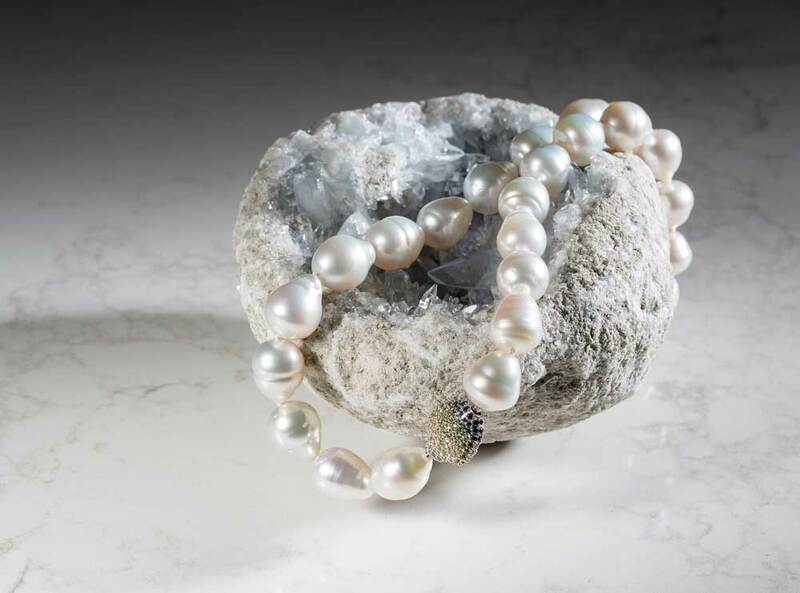 To truly understand pearls, over the course of the night, we will guide you through their key features – the types of pearls, Tahitians, Salt Water, Freshwater. The different colours, from bright whites to deep blacks and all the rainbows of colours in between. We will investigate undertones pearls have and teach you how to select your perfect undertone. The size of pearls and you can even handle some of our strands to find the size that is perfect for you. Lastly, some of the extraordinary stories of farming pearls and Australia’s history of the pearl industry.